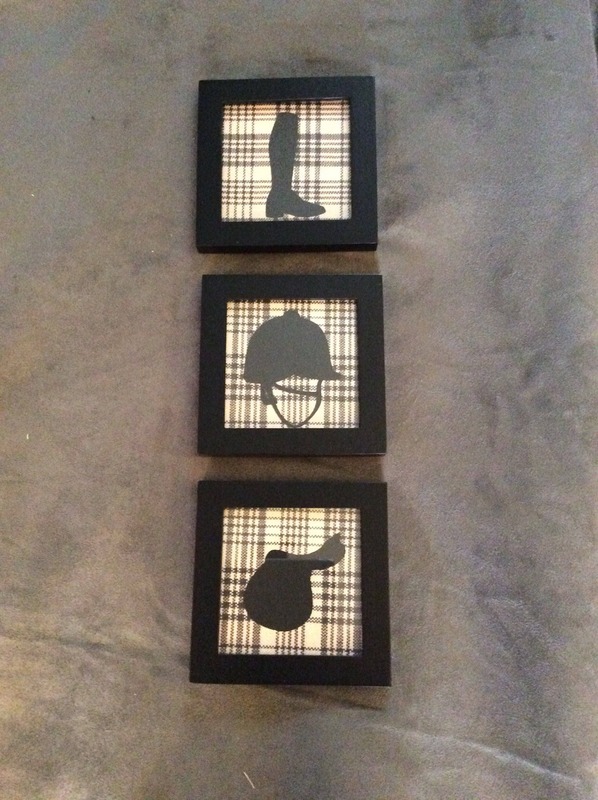 Very elegant silhouettes of a saddle, boot and helmet mounted on famous horse blanket wallpaper which is no longer made. They are mounted in 5x5 black frames. The pictures can be both hung or standing. You can buy them individually or as a group of 3. One is priced at $15.00 or the group of 3 is $40.00. If you want the group please message me and I will set up a listing for you. 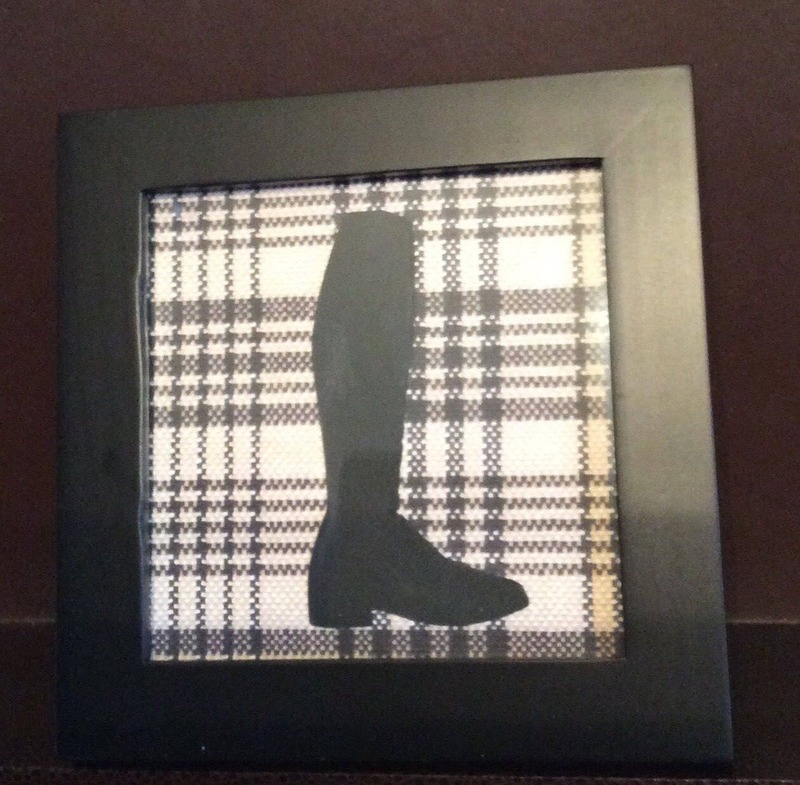 The silhouettes make great gifts for any equestrian or horse or dog lover. Sure to please the equestrian in your life. 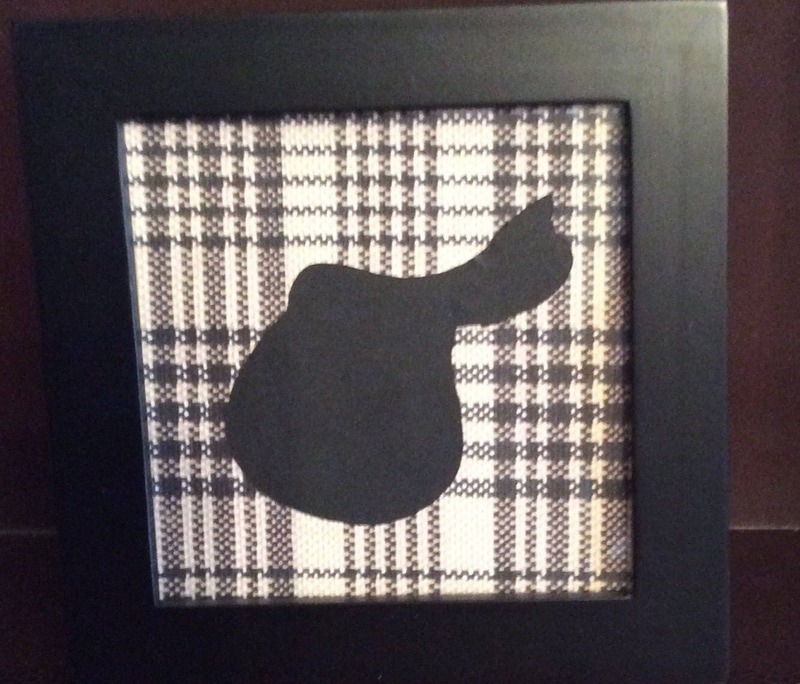 They can also be custom designed with another color or frame color to match your decor. 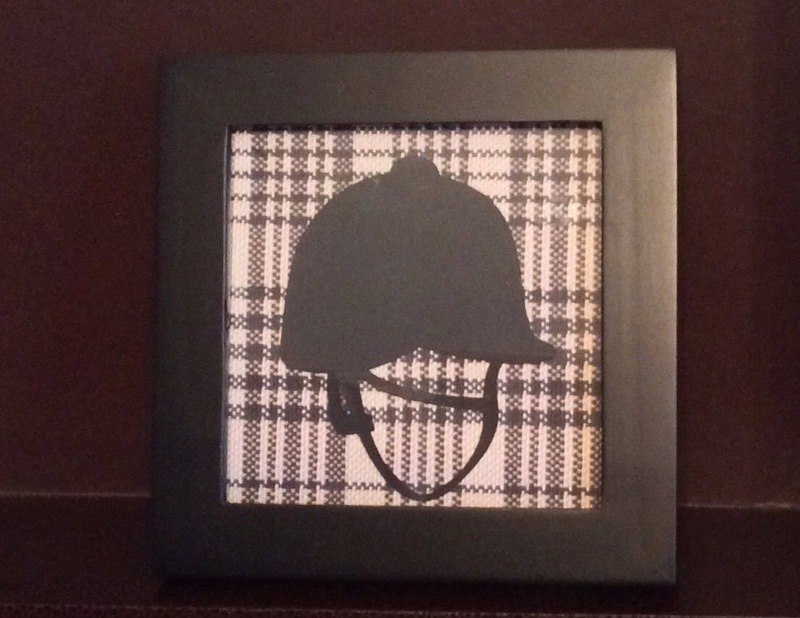 I also do the silhouette in other shapes such as a dressage rider, jumping horse, horse head or even your favorite dogs. Message me and I will set a listing up for you.